Long time no blog! You might have noticed this little space has been quieter this year - what started as an unintended short break from making new content for NatuRia Beauty turned into a much needed longer time away. Three years is a long time to dedicate to a blog, or any hobby in general (props to anyone who has been at it even longer!) and after some time it had reached a point where I wasn't getting the same enjoyment out of it, mostly as I was putting too much pressure on myself and spending so much time on all the admin/social media/photography/editing and things that go on behind the scenes that I was actually missing out on any personal downtime. I wasn't sure at first if this break would be indefinite, but my love of natural, plant-based, organic, ethical beauty and lifestyle still stands more than ever and this has always been the outlet for me to share those interests. Thank you to everyone who has reached out to see how I've been doing, it's been lovely to know I had you guys waiting for me! I can't promise when to expect new posts from me going forward, but I hope you can forgive me for the radio silence and still enjoy reading about the products I've been using! I seem to have finished off quite a few products all at once over the past week or so! It always feels like a momentous occasion when I finish off a shampoo as I only wash my hair every few days. The Josh Rosebrook Balance Shampoo (reviewed here) lasted me about 9 months in total, using it like a pre-wash and following up with a different shampoo as it always left my roots on the oily side when used on its own. I didn't think I would see a difference not having this in my haircare routine, but I've actually noticed more hair loss without it, although this could be coincidental and maybe to do with the shift in the seasons. I think I'll be on the lookout for another balancing shampoo to replace it with. Another haircare product I've finished off is the Briogeo Rosarco Milk Leave-In Conditioning Spray (reviewed here). This is one of my favourite leave-in conditioners and I've already gone through a couple of bottles. I absolutely love the scent and it just gives that extra bit of moisture my dry hair needs after washing. It will definitely be making a reappearance in my stash soon. I rarely have many makeup empties, but mascara is one thing that needs to be switched more often to avoid the risk of eye infections. The latest one I replaced was the Ere Perez Natural Almond Oil Mascara* (reviewed here). It's an ideal mascara for anyone who likes more subtle defined lashes. I really liked this as a bottom lash mascara as it never smudged, but I do prefer a heavier mascara for the top lashes. The Kadalys Radiance Dry Oil (reviewed here) is easily one of my favourite products to use during the summer months after sun exposure. I love the unique scent and it makes your skin look and feel amazing. The clear glass pump bottle adds a luxury feel too. I don't think they have a UK stockist currently, but you can find Kadalys in various stores across France if you're ever visiting! Lastly, there are a few facial skincare products that I've used up recently. Balance Me Moisture Rich Face Cream makes a perfect base for makeup, giving a good amount of moisture without leaving any oily feeling. A little goes a long way, so this travel size actually lasted me a decent amount of time and I enjoyed using it, so I don't think it will be long until I pick up another one! I won't go into too much detail about the final two products as I've reviewed them before and this blog post is getting a little lengthy! 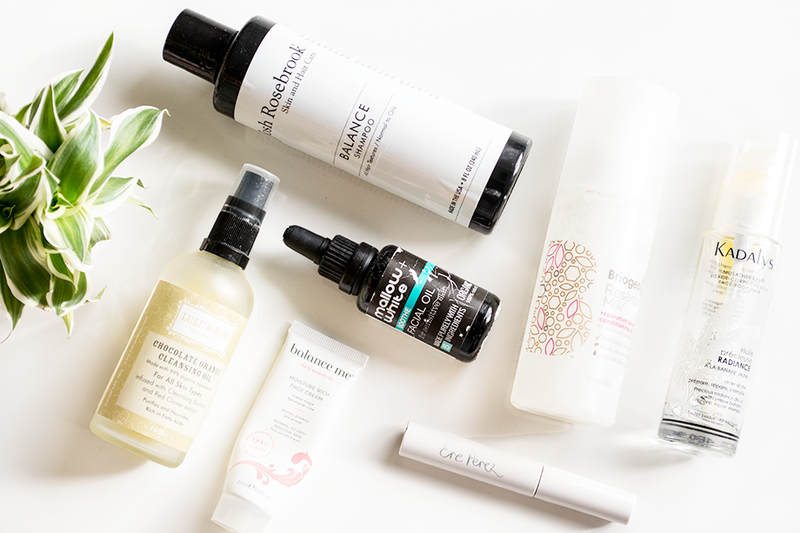 I mostly ended up using the Mallow + White Soothe Facial Oil* (reviewed here) as a hydrating mixer for powdered face masks, and the Lulu & Boo Chocolate Orange Cleansing Oil* (reviewed here) was an effective makeup remover which was much loved by me! I'm currently using a cream cleanser for now, but oil and balms will always be my favourite!